LOS ANGELES — The Toyota Corolla’s passenger door had barely cracked open outside Delta’s new home at Los Angeles International Airport’s Terminal 3 when Jaqueline Capocci approached with a smile. 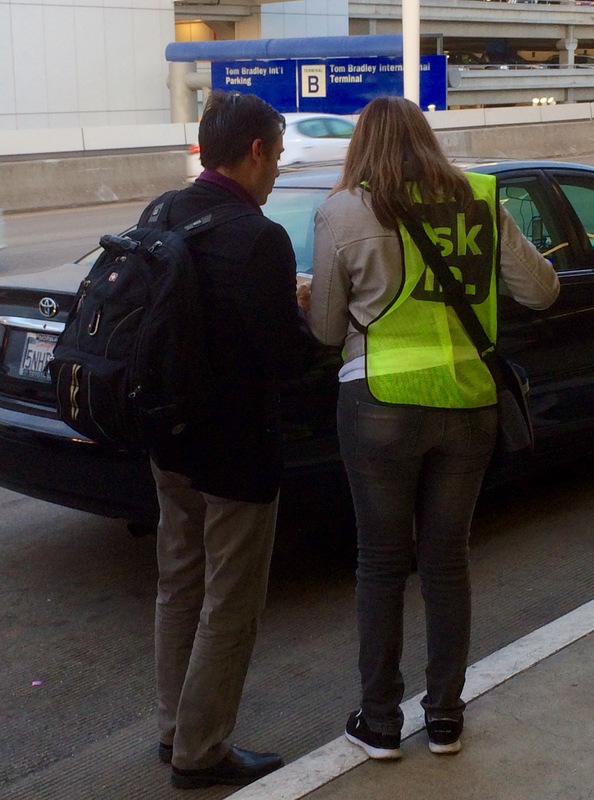 “Good morning sir, can I help you with your flight?” she asked, wearing a neon green vest with “Ask Me” emblazoned on it. The customer showed her his information, she confirmed he was in the right place, and cheerfully went on his way. About 210 Delta employees known as the Peach Corps eagerly swarmed LAX in search of customers in need of help finding their way during the airport’s massive terminal move. Fifteen airlines, led by Delta, are moving their operations between Friday and Tuesday in the most ambitious terminal shuffle in commercial aviation history. 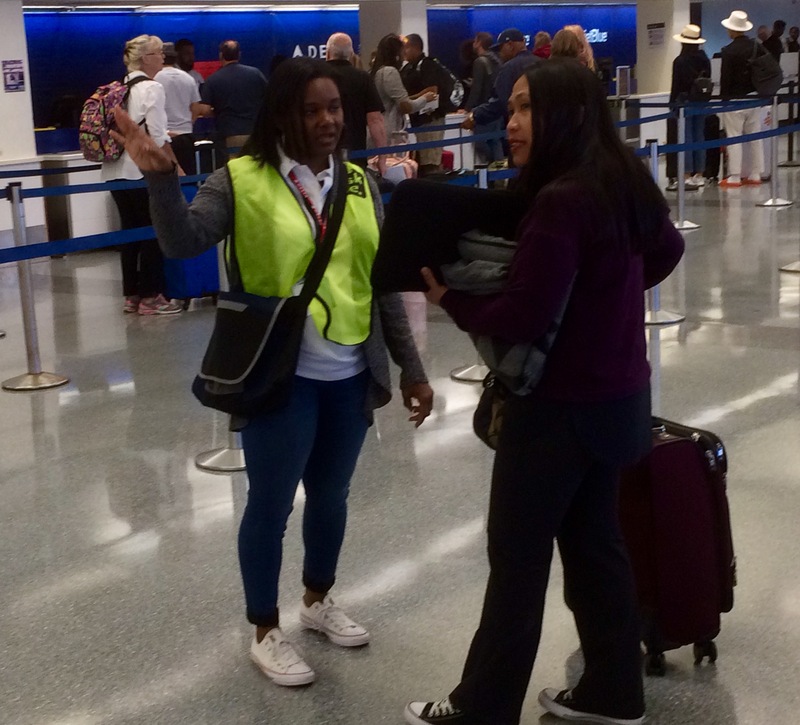 Peach Corps members – employees from across the system who volunteered to fly in and help the LAX team with the move - arrived at the airport before 4 a.m. Monday, after Delta’s second move day. They were ready to greet busy weekday travel crowds and aware that the airline would be temporarily operating out of four terminals instead of the normal two. Volunteers lined the sidewalk, approaching customers as they arrived at the airport, and others were stationed inside, near kiosks and check-in areas. Karen Jordan, a Peach Corps volunteer who works in Reservations Sales in Atlanta, said she wanted to be part of a historic moment for Delta. Jordan said she and other volunteers have helped as many customers for other airlines as Delta, but she hasn’t minded. “I’m just here to help people,” she said. Ranjan Goswami, Vice President — Sales, West, who led the terminal move, said the LAX team deeply appreciated Peach Corps’ help.